Here’s a post I did for the Archdiocese of Omaha in connection the effort to retain the repeal of the death penalty here in Nebraska. Check it out. As you said only in the most serious and rare circumstances should someone be killed for their crimes, but you fail to see that this is already the case in America. The perfect state were the death penalty is not needed at all to protect society is not here, it never has been in history, therefore if you say it is, the burden of proof must be on you, since we have always lived in a world where there is imperfection. Taking away the death penalty in a non perfect society can only hurt it. From decreasing the deterrent of crime to increasing economic burden to numerous other ways. We can see how China errs on one extreme, but we can also see how horrible an error on the opposite side is in countries like Italy. Also remember that the welfare of society comes above the welfare of an individual. This you contradict by saying that it is better to have no death penalty for the purpose of eliminating innocent death sentences. Hi Jean, thanks for the comment, but according to the Church’s teaching the severity of the crime is not the only criteria. I think you’re missing a step. Of course the world isn’t perfect. Never claimed it was, and obviously St. Augustine and Aquinas and St. JPII understood that too. As I think I make clear in my piece, along with the severity of the crime, there must be no other way to protect society but to kill this individual for the death penalty to be justified. This is the Church’s clear teaching in the Catechism and it is the more traditional position as well. The burden of proof is not to demonstrate that bad things never happen. The burden of proof in our current debate is whether or not we can protect society from the bad things without killing someone. You site a deterrent effect, but none has ever been proven. The studies that purport to demonstrate it are full of errors. As for economic burdens, it is more expensive to maintain and prosecute a death penalty case than a case involving life imprisonment. The statistical data has been consistently clear that states without the death penalty have lower homicide rates than states with it. Your last statement is true in some circumstance but not others. In our country – through the influence of Christianity – we believe in innocent until proven guilty. We follow this principle because we’ve determined that it is worse for an innocent man to go to jail than for a guilty man to go free. In other words, the welfare of the individual innocent man outweighs the welfare of a society jeopardized by a free criminal. I’m simply saying we use the same criteria here. It is far worse to execute an innocent man than to let a guilty man live in prison for the rest of his life. Hi Omar, thanks for your response. I think I know where our difference in opinion arises. Since we are talking about the Thomistic view, we might as well quote St. Thomas. The sins that corrupt society which St. Thomas is talking about here are not necessarily the crimes that the States have attached a death penalty to. This is probably were our disagreement comes from. And yes, we can see here we are not talking about severity, unless one would directly relate severity of crime to how much it affects society. Someone who kills somebody or many to steal from them, for example, probably does not qualify, depending on circumstances. This criminal can probably be kept locked up somewhere, and society will still be the better. Yet someone who is in charge of a Crime syndicate, where his followers kill for him, on his order, therefore affecting society even if he is locked up should be eliminated. But St. Thomas here is specifically thinking of those who would corrupt a Catholic society with their heresies. A spiritual evil rather than a physical evil. Of course in our society we already have all sorts of error and heresies and is not even catholic. But if we take a heretic like Charles Manson, (who committed also physical evil, and therefore anyone can see how badly he affected society), then we can more easily see how, the only way to safeguard society is to get rid of him. And this we must do not only for the sake of society, but also for the sake of his followers, who can more easily repent and not be influenced by him anymore, and also for his own sake. Remember that to know the time of one’s death is a grace from God. A merciful act. A few other things I noticed. It is a principle that punishment deters crime. Principles cannot be proven. If it is more expensive to kill someone than to support him for 50 years, then the problem is somewhere else. I have lived in the middle east, and i can tell you that their crime rate is much lower than any state. One would not dare step out of line. 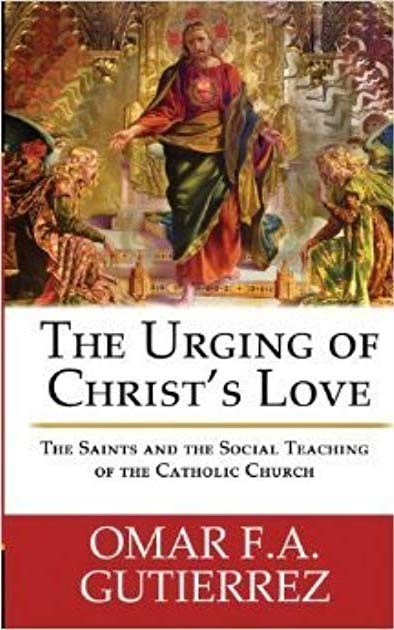 Hi Jean, I’m not actually taking the Thomstic view, which is a bit scattered when one looks at the whole of it, but the Augustinian view which is what I believe the Catechism is basing itself on. In the Augustinian context, the question was whether or not there are exceptions to the commandment against killing. Augustine in the City of God says yes, they are just war and the death penalty. In both cases – as the 1992 Catechism makes clear as well as the Catechism of the Council of Trent – the goal of capital punishment is the preservation of human life – not spiritual life or sanctity or catechetical purity, but human life. If a society cannot contain a crime boss, then yes they might be justified in killing him, but only because there is no other way to preserve human life from his power. If there were another way to protect human life without executing the crime boss then, as the Church teaches and as St. Augustine would no doubt argue, we must limit ourselves to the non-lethal means of protecting society. As for deterrence, if keeping criminals from committing crimes requires occasionally hurting innocent people, is that morally justified? The Church and reason would say no. So even if there were a deterrent effect in society with the death penalty, something which can be proved as you yourself suggest with your comment on the middle east, it would still not justify violating the principle that it is far worse to kill an innocent person than it is to let a guilty one live the rest of their lives in prison, cut off from society and so no real influence on society at all. I must agree with Jean. 2 things that I see are problematic in your article: one philosophical, one “judgmental”. 1. Omar you make the point well that the position that the death penalty is always wrong is erroneous. But you are fighting to make the death penalty in Nebraska illegal and always wrong. Contradiction?! 2. To automatically believe that modern man can do things better is an error that unfortunately most people make today. It is made in your article in such a subtle way that I almost did not catch it. In fact, why on earth were people incapable in the past to lock someone up for good? What is the difference between then and now? None. Except that we believe we are superior now for some sort of reason. Thanks for the comment Gabriella. 1. It’s not a contradiction if the prudential criteria laid out by the church for the abolition of the death penalty in a specific time and place have been met. Saying its always wrong in any context (what I’m not saying) and saying it is wrong in Nebraska in 2016 (what I am saying) are two totally different things. The first is a universal statement. The second conditional. So, no, philosophically it’s not a contradiction at all. 2. Perhaps the reason you didn’t not catch it at first is because it isn’t there. I’m not “automatically” assuming that modern man is better than our forefathers. I’m assessing the facts of technology and arriving at the clearly reasonable conclusion that modern man has technologies, societal infrastructures, and an economic dynamism at our disposal which make it far easier, far safer, and far more assured that dangerous criminals can be kept away from society for extended periods of time. The difference between then and now is not that we are “superior” but that we have greater access to technology, infrastructure and wealth. It’s really that simple. Thank you for your wisdom in this area!